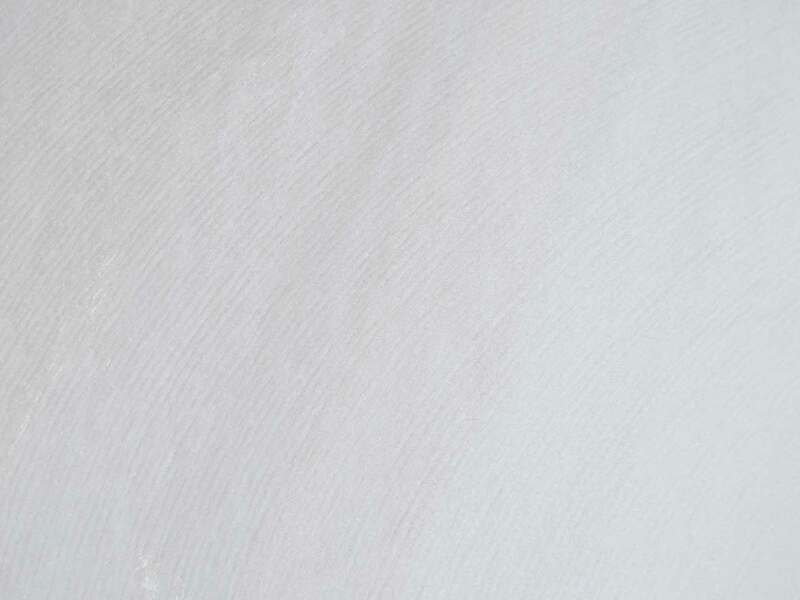 Kairuru Marble is a coarse-grained, highly crystalline stone which can be polished to a high lustre. 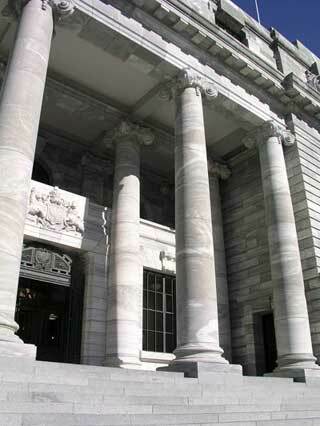 Kairuru Marble was used to build Parliament Buildings from 1915 - 1922. A method known as 'plugs and feathers' was used. 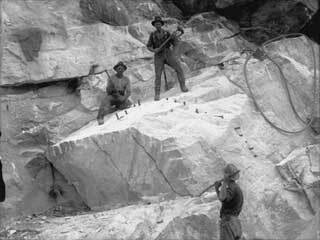 After drilling to the run of the marble grain, plugs and feathers were used to wedge the rock free from the marble face. No blasting was involved. Marble blocks were transported via a tramline to Marahau. Here the marble blocks were loaded onto scows (flat-bottomed boats) and taken to Wellington for cutting. as the Beehive was the second phase of the Parliamentary complex and built in the 1970s. To enhance the stark concrete, Kairuru marble has been used for decoration internally as well as on the lower external walls. 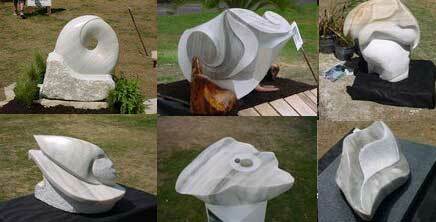 These days Kairuru marble is mainly used for sculpturing. The historic quarry site can be visited through either a short walk from the house or by 4WD vehicle. Here some of the old machinery used can still be seen. Quarried marble blocks available for sale .